Cetaphil Moisturizing Body & Face Lightweight Fragrance Free Lotions 4 FL oz. 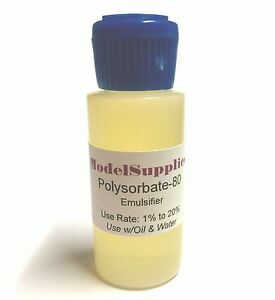 The "glue" that holds your emulsion together! It also thickens the lotion. So someone made an offer of $3 on this - which is how much postage costs. sighs. Right after I declined that offer, I noticed this product suddenly had a one star rating. So I'm evening it out.